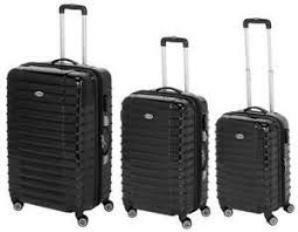 Luggage used to be almost a lifetime purchase where you looked for the best quality bags you could afford. But that’s not necessarily the best approach these days. Sure, quality matters, but styles and features change so quickly that it might make better sense to replace luggage every five or so years. 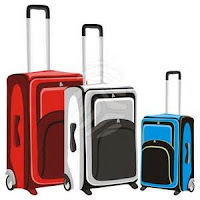 Besides choosing a distinctive and good-looking piece of luggage (not black!) think about function, packing space, airline requirements, and value in addition to quality. Whether you are looking for something rugged, luxurious, or high-tech, many choices are out there no matter what your style of travel may be. practical.Only buy what you need. It is lightweight, flexible, and can adapt to tight spaces such as overhead bins and under seats of airplanes. It may actually hold more because the sides are not rigid, although soft sides may not be as sturdy and protective of the contents. Be sure the fabric is made of a strong and durable material such as ballistic nylon. It offers more protection for your precious cargo, but it may scratch and scuff more easily. It probably weighs more, and it can’t be squeezed into fixed storage spaces (forget about under the plane seat). 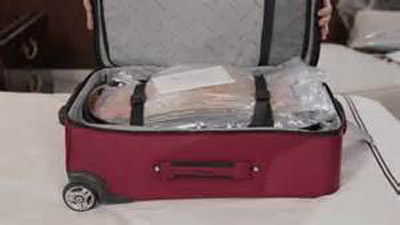 There’s a greater chance you’ll have to check your bag if storage space is short on a flight. 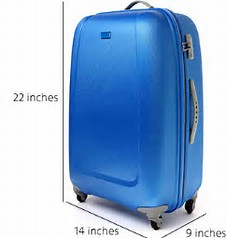 Be sure the bag’s frame, which should be made of aluminum or polycarbonate, is strong and sturdy. Take along a tape measure to be sure the size you purchase meets airline guidelines, especially if you plan to carry it on rather than checking. Even if you plan to check a large bag, remember that the larger it is, the more it will weigh when packed full. You might not want a 32 or 35- inch piece that could be dinged a steep fee for exceeding allowable weight limits. Check that the handle has a solid and comfortable grip. Open and close zippers to be sure they flow smoothly. Interior compartments should work for the way you pack items. (While you’re at it, pick up several of those zippered, mesh packing cubes. They make packing and finding things later much easier). Gotta have wheels, preferably four! You’ll be considered a dinosaur and given dirty looks if wrangling your duffle bag creates inconveniences for other travelers—not to mention the back and shoulder pain you might get from lifting and hauling un-wheeled bags around an airport or train station. (I speak from experience on a recent journey to Africa that required bags without wheels--ugh). Practice wheeling luggage around to be sure it will travel smoothly over different surfaces, including mild bumps (a gravel road or cobblestones will come your way at some time in your travels). 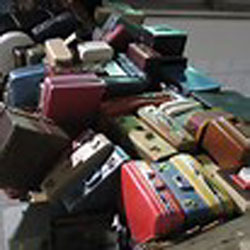 Suitcases continue to get “smarter.” Newer features that may be important to you include built-in weight indicators, location trackers, fingerprint locks, and battery chargers (but be careful of certain items that may be banned on flights). Warranties—if you plan to keep the luggage for many years--should offer extensive coverage without exclusions for airline damage. Cost will depend on the quality and size bag, but you don’t have to spend a fortune for a serviceable and dependable bag. Read reviews for major, well-known brands like American Tourister, Samsonite, Travelpro, Delsey, Eagle Creek, Victorinox, and others. And check major retailers for frequent sales. 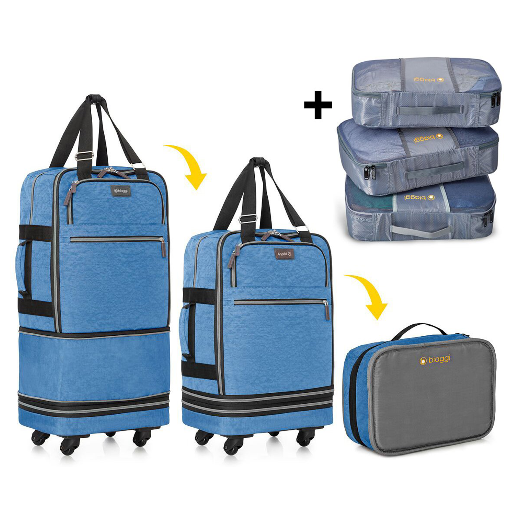 One of the newer luggage styles that I like is Biaggi, a series of frame-less soft-side bags that each fold into a small, neat package for storage. These can be stuffed to accommodate all those “extras” you inevitably bring home, and they are incredibly lightweight, which is important when traveling to remote destinations that have weight limits below those imposed by large airlines.